At the Grandin Agency, we are not slumlords. We manage well maintained homes and believe quality homes attract quality tenants. Customer service. It's simple - we answer our phones and promptly return email. We are always in the office during business hours and encourage our owners and tenants to stop by anytime. We don't believe in a nickel and dime philosophy. Our pricing is clearly listed and we don't deviate. We deliver a premium service and our cost structure reflects that. 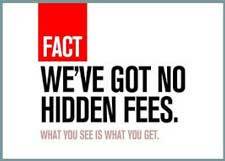 When the hidden fees and ala carte nature of our competition is considered, we offer an outstanding value. 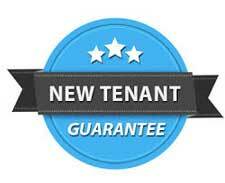 Grandin doesn't charge our tenants overly aggressive late fees or application fees. This is counterproductive to a good relationship as our main goal is keeping your home occupied! All rentals are listed on the MLS (Multiple Listing Service). This helps establish comparables for the area also helps confirm your properties income generation potential for loan and appraisal purposes. Additionally, we also list all of our properties on Zillow, Trulia, Realtor.Com, Hotpads, Craigslist, and hundreds of other sites. Your properties WILL get exposure. Technology - yes please! Our system is completely online. All of your statements, expense reports, and property photos are available 24/7 in your encrypted owner portal. You can inspect our accounting and records anytime. Conversely, the tenants have all of their statements, documents, maintenance requests, and payment options online as well. How often do you inspect your properties? We contractually commit to doing a drive by inspection quarterly and interior inspections every six months. Photos taken during the inspections are uploaded and available in your owner portal. Grandin is familiar with the needs of out of town owners. We can deposit your money via direct deposit to any account you specify and guarantee disbursement by the 15th. All tenants are checked against the terrorist watch list, the FBI's most wanted, criminal databases, and public records. We also search court records (NATIONWIDE) for a history of evictions and judgments. Careful screening helps insure your investment is protected! At The Grandin Agency, we don't believe in a nickel and dime philosophy. We publish our simple pricing for the whole world to see. No need to call, no need to dicker - here it is. Single Family Management. 12% of collected rent and a $395 leasing fee. We pay Realtor co-broke fees. No lease renewal fees - nothing. Simply 12% of the rent when a tenant is in the house and a $395 charge to find a new tenant. In the unlikely event that a tenant we place is evicted, we will waive the $395 and find a new tenant at our expense. Discounts are available to investors with multiple properties under management. Apartment & Multifamily Management. Complete management packages starting at 8%. Contact us today for a confidential ROI analysis. Commercial and Residential Community Association Management. By proposal. Certain restriction apply. Inquire for details. The town first called Big Lick was established in 1852 and chartered in 1874. It was named for a large outcropping of salt which drew the wildlife to the site near the Roanoke River. In 1882 it became the town of Roanoke, and in 1884 it was chartered as the independent city of Roanoke. The name Roanoke is said to have originated from an Algonquian word for shell "money". The name for the river was that used by the Algonquian speakers who lived 300 miles away where the river emptied into the sea near Roanoke Island. The native people who lived near where the city was founded did not speak Algonquian. They spoke Siouan languages, Tutelo and Catawban. There were also Cherokee speakers in that general area who fought with the Catawba people. The city grew frequently through annexation through the middle of the twentieth century. The last annexation was in 1976. The state legislature has since prohibited cities from annexing land from adjacent counties. Roanoke's location in the Blue Ridge Mountains, in the middle of the Roanoke Valley between Maryland and Tennessee, made it the transportation hub of western Virginia and contributed to its rapid growth.